New ESPN documentary showcases the top high school basketball players in the nation. ESPN has certainly garnered a lot of attention in the last year with their sports documentaries, including the recent airing of Jason Hehir's "Fab Five," which reflected on the University of Michigan's basketball recruiting class from 1991. Airing this Thursday is an all-new ESPN Documentary called the 2010 Elite 24, which showcases the best high school players in the nation. The Elite 24 is an annual event that is played at famous outdoor locations such as Harlem's Rucker Park and Venice Beach. The documentary gives viewers a glimpse inside the 3 day event and into the lives of future NBA superstars. Notable names featured include Austin Rivers, Myck Kabongo, Quinn Cook, Nick Johnson and Shabazz Muhammad. Past Elite 24 players include Kevin Love, Brandon Jennings, John Wall, Tyreke Evans, Michael Beasley, Jared Sullinger, Nolan Smith, Kyrie Irving and Kyle Singler. 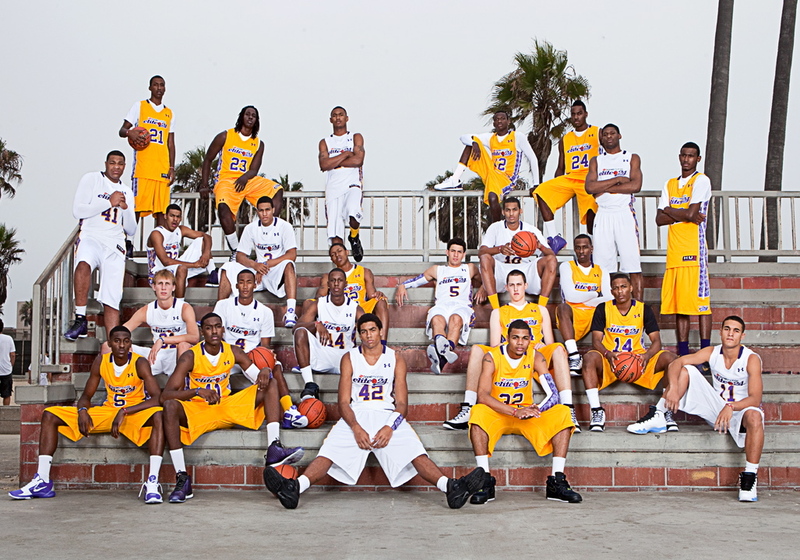 2010 Elite 24 airs on ESPNU on March 24th, 2011 and ESPN March 28th, 2011. Check local listings for time and channel.